According to the back label, this has the “flavour of a sunset over the Doñana plain, on the banks of the Guadalquivir river.” If you haven’t been there you won’t appreciate quite what a big call that is – one of the finest sunsets I have seen. And although this kind of wine lavel poetry normally leaves me inclined to resort to base prose on this occasion it can be justified (even if not forgiven) because this wine is cracking. 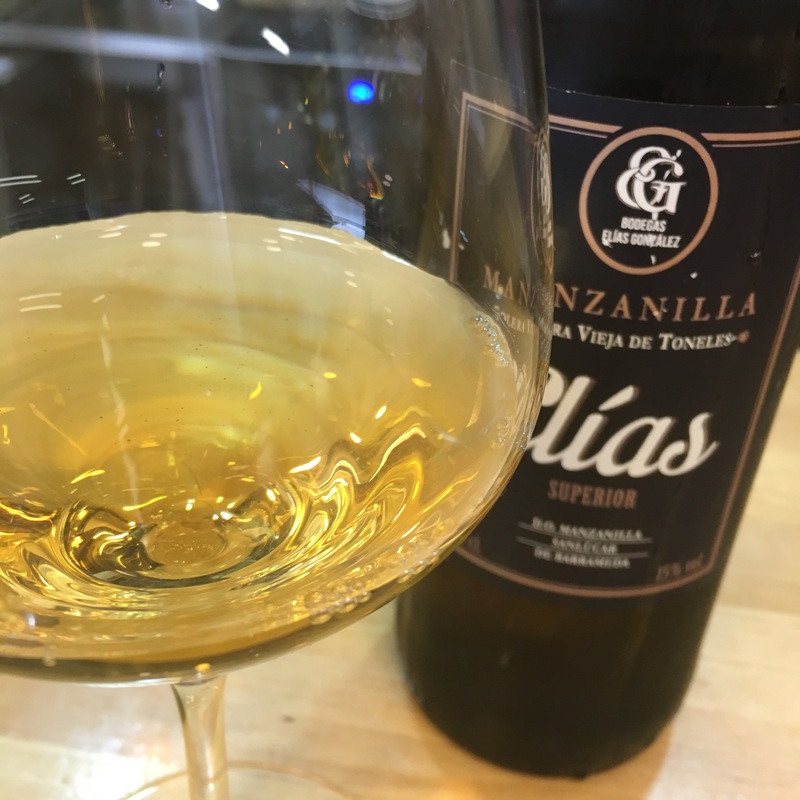 The big brother of a manzanilla I tried for the first time recently this is a step up in salinity and intensity, with a deeper colour, more pronounced zingy salinity and flavours of slightly bitter burnt almonds and even a touch of liquorice root. Absolutely cracking with some spicey patatas bravas at Territorio Era.